Stylish Toddler Room with the Oeuf Toddler Bed?Or without? Your baby is growing and learning more about the world around him. He will now have favorites – favorite foods, favorite clothes, favorite colors, favorite toys and so much more. Once he is ready to move out of the crib, it is time to rethink and redecorate that just-right baby nursery into the colorful room that matches his new tastes. 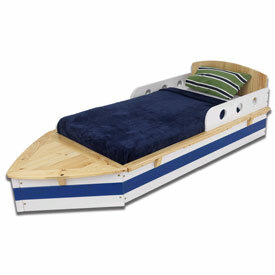 Have you been checking out stores for toddler bed, furniture and toddler bedding set. Did you just complete your toddler rooms decorating project? Share your story, inspiration and more with our readers. Decorating kids rooms require a very special ingredient…your kid’s input. Yes, from this moment on his room has to reflect his personality and not yours. Be sure to involve him in every step of the decorating process. It will encourage him to use his imagination. It will also give his self-confidence a big boost to know that his opinion matters. As a bonus, the kid who has helped create his unique toddler room is more likely to keep it tidy and organized too. Now isn’t that worth the extra effort of dampening your wishes to let your kid’s creativity shine through. Tips: Naturally there are the practical aspects to decorating kids rooms…and your kid is not interested in them. But you are! (ps. read the Basic Rules of decorating before you read on). You will find innovative decorating ideas for kids rooms here that can help overcome any differences of opinion between your kid and you. For example, say your kid loves shimmering blue. You know you cannot put that color on the walls. You can find a balance by bringing in this color in the room decorations instead. If a year or two later, he outgrows the color, it is easier to get rid of and bring in the new color favorite. 4. To buy or not to buy? Similarly, there are conflicting opinions among the decorating community on issues such as, do you need a ‘toddler bed’? The advantages are that crib quilts, sheets and mattresses can fit the toddler bed, thereby saving you money and time. You could also carry over the nursery’s theme…if it still pleases your kid. Moreover the beds come in such adorable themes, like Race Car Toddler's Bed , Princess Carriage Toddler Bed , and the Hollywood Jr. Round Bed they are sure to brighten up the room instantly and inspire more kid’s room ideas. On the other hand, the toddler furniture is quickly outgrown. That could translate to another expense of a bigger bed (and bedding! ), before the toddler bed has run its course. If your kid has his mind set on a ‘fire truck bed’, you could look for fabric in the fire truck red or having fire truck prints and incorporate into the bedding(and other accessories). If your budget and time permit, perhaps you could upholster the headboard with this fabric. 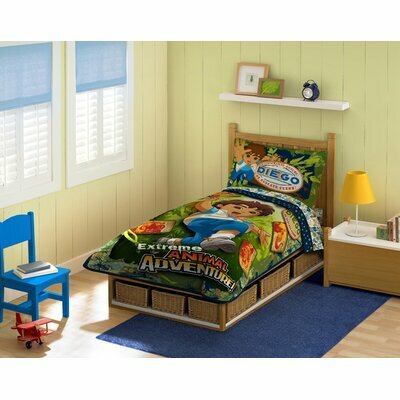 Finding the right toddler bedding can make a world of difference in his room. Children can be quite reasonable and meet you half way, as long as you show them that you recognize their desires and respect their opinions. Lighting up the room is another fun way to introduce the theme of your toddler’s bedroom. Fun and funky designs are available in plenty. Always keep lighting's functionality in mind when finalizing the lamps and ceiling lights. 6. Carpets, Rugs or Mats? The exuberant energy of your young one needs appropriate outlets. Be prepared for hours of jumping, hopping and running. The toddler room’s floor must also be equipped to handle the toys being scraped or dragged around, scribbling, stains and spills. Hardwood floors are highly recommended, but not always possible. Carpets, rugs, mats…there is a wide array to choose from. 7. Writing on the walls? An assortment of wall decor items including shelves, wall art and murals complemented by an extensive collection of window treatment options can help you complete the ideal look for your toddler room. 8. Your toddler, The Explorer. We cannot ignore the safety issues related to not just decorating the kid’s room, but the rest of the house too (ps. check our pages on Safety and Around the house). This is the most difficult phase (for you) where in your toddler’s curious fingers want to inspect every crevice. A toddler’s mouth is his ‘explore-the-world gadget’. This might also be an interesting exercise in introducing your toddler to be environment friendly. He might not understand all that you say, but stressing the importance of buying eco-friendly products will build a strong foundation for the future. Your decision to decorate your toddler’s room is a momentous one. Grab this occasion to explore your wild side. Keep an eye on the comfort and functionality of the room as you create an exciting room for your little toddler. You have re-decorated your toddler rooms recently. Kudos to you.